Nick Schultz | The Phoenix The Loyola men's volleyball bench celebrates after a service ace. On the Loyola men’s volleyball team, when you’re on the bench, you’re still in the game. The bench reflects the energy of the crowd and creates an intense atmosphere that’s a nightmare for opposing teams to deal with, according to head coach Mark Hulse. 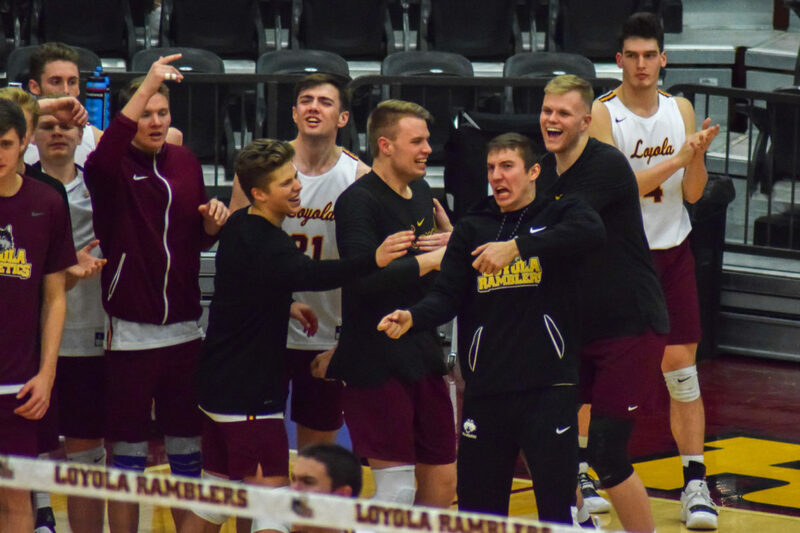 Senior opposite hitter Dane LeClair, 21, said while fans’ impact is great, the focus and intensity the bench provides has been pivotal to Loyola’s success. Due to the team’s depth of talent, Hulse said he constantly tinkers with lineups and rotations to always keep the opponents from getting into a rhythm. No matter the lineup or opponent, LeClair said the bench is always there to provide a spark whenever the offense gets stagnant. The bench works hard to ensure everyone is prepared to physically and mentally face tough competition, according to LeClair. From Jan. 25-31, Loyola played three nationally-ranked teams in a row. In those games Hulse used his bench to impact matches against even the toughest opponents with players such as LeClair and sophomore outside hitter Devin Joslyn. Stagnation is a legitimate threat to many elite teams and the reserves are constantly pushing guys to be their best, according to Hulse. During timeouts, guys such as LeClair and junior libero Jake Freeman are on their feet hyping guys up and getting them focused and ready to win the next point. Hulse talked about the team’s resilience during its tough schedule as he recalls its ability to rebound from losses and its desire to improve after wins. 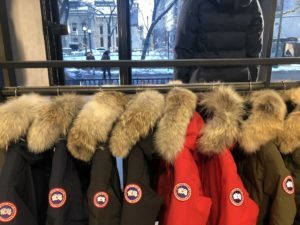 “It’s dangerous when you win you think everything is perfect and when you lose you think everything stinks,” Hulse said. Over that time, Loyola had to play No. 11 California State University, Northridge, No. 10 University of California, Santa Barbara and No. 5 University of California, Los Angeles. According to LeClair, the bench played an integral part in ensuring that everyone kept a level head and was prepared and excited to play in those heart-pounding moments. LeClair said everything the bench does is for the team’s success. The second unit prides themselves in putting the team before themselves. A phrase that has made its way through Loyola men’s volleyball which embodies its mentality is “for the boys,” LeClair said. Leclair spoke at lengths about the “we before me” mentality which embodies the spirit of Loyola men’s volleyball. He said Loyola’s second unit is the heart and soul of the team and keeps everyone loose and focused. The Ramblers are scheduled to continue their season Feb. 8 against Quincy University in Quincy. The first serve is scheduled for 7 p.m.